The fully continuous tyre pyrolysis plant is equipped with automatic feeding and discharging system, which can realize feeding materials on one side and discharging the slag continuously from the other side. It not only can dispose 20-24 tons waste tyres per day but also can work continuously for 24 hours without a stop. This plant is mainly composed of 11 parts, including moving horizontal pyrolysis reactor, hot air circulation heating system, oil gas filter, spray cooling system, secondary fire retardant damper, strong spray dedusting system, oil gas recycling system, feeder system, discharging system, pressure and temperature multipoint monitoring system, central electric control system. All parts are manufactured with high-quality materials and advanced technologies. So far, our plants have passed CE, ISO, SGS certificates and have high quality guarantee. 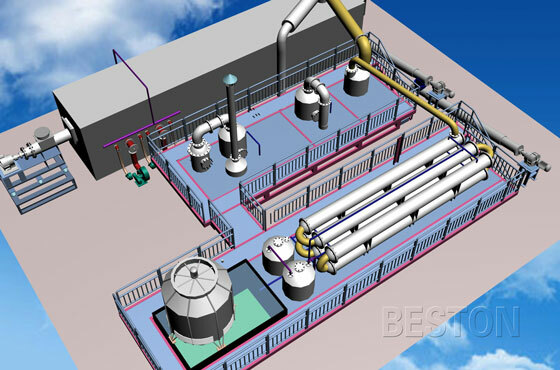 When using the continuous pyrolysis plant to dispose waste tires, the pre-treated tires will first be conveyed to the moving horizontal pyrolysis reactor through the automatic feeder. In the reactor, the tires will take a series of pyrolysis reactions under the action of catalyst. When the whole pyrolysis process ends, we can get pyrolysis oil, carbon black and steel wire. They all have a wide range of applications. For example, the pyrolysis oil can be widely used as fuel oil in industries such as steel and iron and boiler factories, ceramics, power or chemical industries or hotels, restaurants etc. or used for generators to get electricity. The carbon black can be used for making construction bricks with clay, or used as fuel. The steel wire can be sold directly or recycled to produce new steel products. 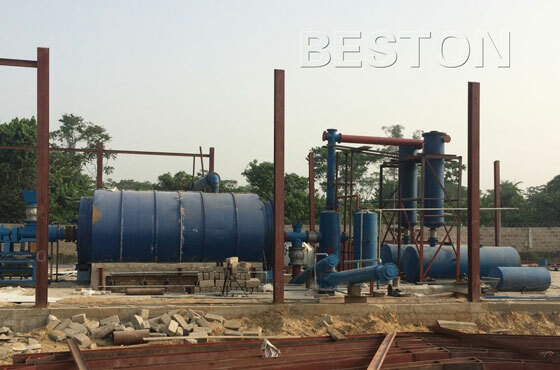 As a leading manufacturer of continuous pyrolysis plants in China, We can guarantee the quality of products and provide perfect after-sales service. If you are interested in purchasing our equipment, welcome to visit our factory!